Folic acid is one of the many vitamins pregnant women need to take in order to ensure normal fetal development. In fact, it may be the most critical prenatal supplement, both because many women don’t consume enough folic acid in food, and because deficiencies can lead to serious developmental problems, including neural tube defect, which is associated with spina bifida. Researchers from the Norwegian Institute of Public Health, Oslo, and colleagues carried out a study to investigate whether a woman’s use of folic acid supplements was associated with a reduced risk of severe language delay among offspring at 3 years of age. The scientists tracked the use of folic acid supplements and other supplements in nearly 40,000 expectant women and followed up with them and their children at 3 years of age. 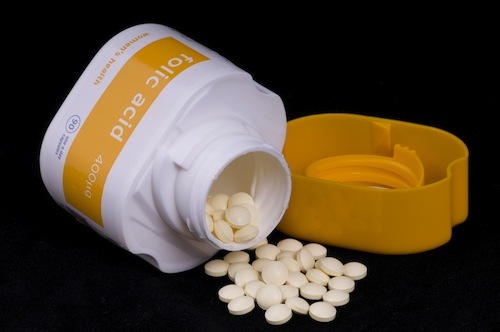 They found that children of women who took other supplements — but no folic acid — were significantly more likely than children of women who took folic acid alone, or folic acid in combination with other supplements, to have severe language delay. Folic acid is one of the B vitamins; specifically, it’s vitamin B9. In reality, there are several different forms of the vitamin, where folic acid is the form most commonly found in supplements. There are many different folic acid derivative chemicals, collectively called “folates,” which are found in foods and which are the forms used by the human body. Because they’re less stable than folic acid, however, they’re generally not used to produce supplements. Still the human body can use the folic acid in supplements to make physiologically active folates. Chemically-speaking, folates are coenzymes, and are critical participants in reactions in the body that involve amino acids and nucleic acids (biological molecules essential for life that include DNA and RNA). Coenzyme: a molecule that assists an enzyme in its operation; without the necessary coenzyme, the enzyme in question couldn’t function. Enzyme: a protein that regulates and helps to speed chemical reactions in the body. The human body depends upon countless different enzymes to engage in all its physiological functions. While folic acid supplementation is recommended throughout pregnancy, it’s actually most critical in a pregnancy’s earliest days. The neural tube, a structure that eventually becomes the brain and spinal cord, develops during the third week post-conception (the fifth week of pregnancy). Because this crucial developmental step takes place so early, many women are not yet aware that they’re pregnant. Further, low folic acid status can be subclinical (that is to say, it’s possible to be somewhat deficient in folic acid without realizing it). Consequently, the American Academy of Pediatrics recommends that all women of childbearing years who could potentially become pregnant take 4 mg of folic acid daily . 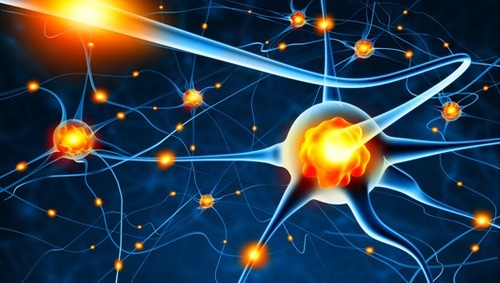 While the importance of folic acid supplementation pre-conception and during early pregnancy has been known for some time, the Norwegian study is the first to scientifically evaluate whether folic acid supplementation continues to have an impact on neural development beyond the formation of the neural tube. The large size of the study and great significance of the results (the difference in outcomes between the groups was large) indicate that folic acid likely continues to play important developmental roles beyond the end of the fifth week of pregnancy. The researchers did not attempt to determine how long women needed to continue taking folic acid supplements in order for their children to reap the benefits; the women included in the “folic acid supplementation” group took folic acid supplements from at least four weeks prior to conception through at least eight weeks after conception, but they were not told to stop taking supplements after that time, and many may have continued to do so. As such, it’s wise to continue folic acid supplementation throughout pregnancy in order to maximize its potential benefits to fetal development. Roth et al. Folic acid supplements in pregnancy and severe language delay in children. JAMA. 2011 Oct 12;306(14):1566-73. Folic acid for the prevention of neural tube defects. American Academy of Pediatrics. Committee on Genetics. Pediatrics. 1999 Aug;104(2 Pt 1):325-7.